Hideo Kojima wants his independent studio, Kojima Productions, to be a tightly-knit group of no more than 100 employees. 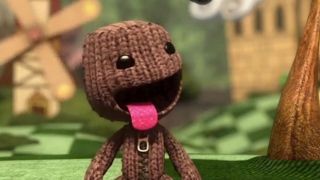 That might sound small for a man who headed development of Metal Gear Solid 5 - a game which required more than twice that number to complete - but the renowned developer has a very clear inspiration: LittleBigPlanet developer Media Molecule. In a recent interview with Gamereactor, Kojima spoke about wanting to emulate the UK-based Sony studio in his own endeavors. So why the limit of 100 employees? "We aim to make a kind of small, intimate type of studio," he said. It's not just the smaller size that Kojima admires, though. He also praised Media Molecule for its relatively high number of female employees and more relaxed atmosphere, which gave the studio a "very familiar feeling." It's a feeling he wants to create for his own workers, and also stands as a stark contrast to many Japanese studios, which operate in a way that Kojima likened to the military. Media Molecule turned 10 earlier this year. Hopefully Kojima Productions can copy that sort of longevity from the studio as well.